Watching the similar suitcases roll by at baggage pickup can be frustrating. This is a guide about identifying luggage. When on a recent trip, I noticed one traveler attached a colorful nylon "scrubbie" to his luggage. Not only was it cute, but really stood out from the rest of us with ribbon attached to our luggage. The dollar store sells them and really makes it easy to identify your luggage. Happy traveling! I have plain, black luggage, which looks like many others. To identify mine, I took acrylic craft paint, and using a stencil, painted a flower. On the larger pieces, I used the end of a dowel to put pink polka dots on them. They were easily spotted, even at a distance! 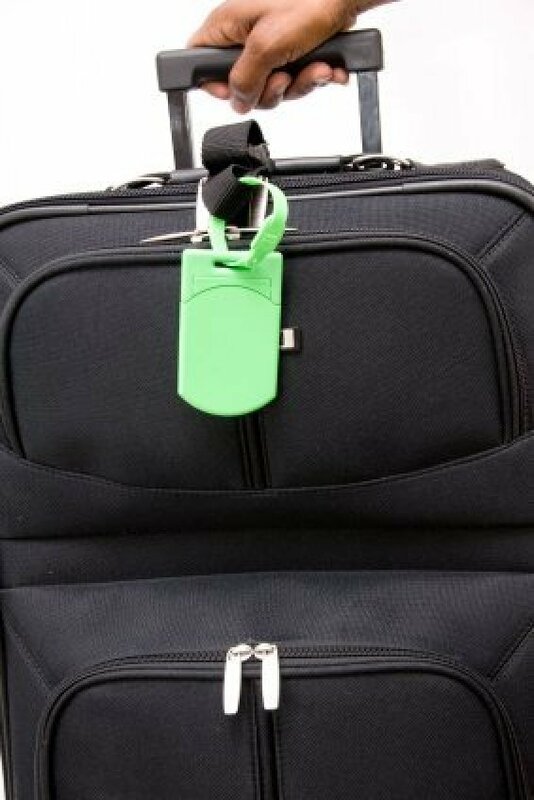 Making your luggage easy to identify quickly saves time at the airline baggage carousel. I use a brightly coloured tape available at art or office supply stores, and create an 8 inch tall initial and stick it to my luggage. Easy to pick out, even from a distance. We did this on our last trip. A time saver. Since so many bags look alike nowadays, we put colorful stickers from a local store (a marine supply one, actually) on our luggage to identify them on the luggage carousel. What I do with my luggage is put a cloth type red tape, like the gray duct tape, around the luggage. Then I put big angel stickers on the tape, and I always get my luggage the first time around! I travel quite a bit and the stickers have yet to come off! I'm an angel lover so I know what to look for! To spot your luggage easier at the airport when it comes on the conveyor belt, use a decal and paint a picture on the back of your suit case. You will be able to spot it easier then using ribbons. Works great and you never need to redo this. When traveling put brightly colored ribbon on your luggage. The more colors the better. When your pieces come around you will be sure to get them on the first go around. My family has always used pom poms made out of yarn to be able to find our luggage. My mom buys yarn in the brightest colour she can find, and we can always find our navy blue and black suitcases.